On April 5th 2016, Bedford County Sheriff’s Office received a call in reference to a male subject walking in the area of Goode Rd near Terrace View acting suspicious, carrying an AR-15 style rifle. 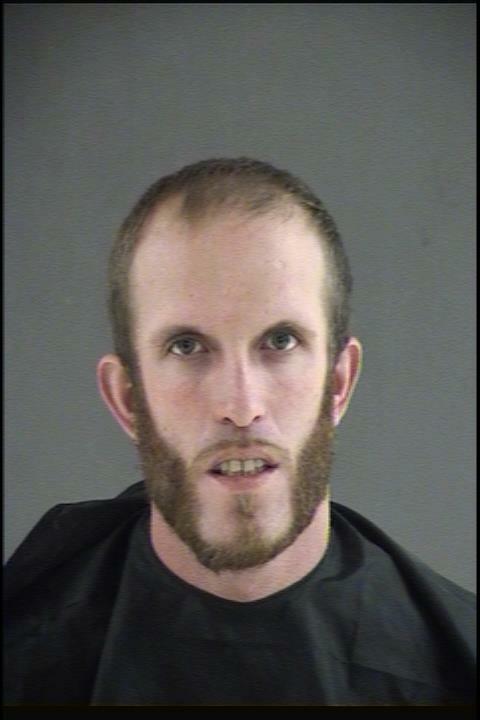 Deputies located the subject and identified him as Justin Goodman. While speaking with Goodman, the deputies observed a rifle barrel sticking out of a towel on the side of the road near where he was standing. Deputies recovered an AR-15 style rifle in the towel. The deputies knew Goodman as a known convicted felon and asked if he had anything else on him. Deputies located a .45 caliber pistol in the waistband of his pants; approximately 7 grams of methamphetamine packaged separately, approximately 1 gram of cocaine and a small amount of marijuana on him. Justin Goodman was arrested and charged with Possession of Schedule 1 or 2 Controlled Substance (methamphetamine), Possession of Schedule 1 or 2 Controlled Substance (cocaine), Possession of a firearm by a convicted felon, Possession of a Firearm while in possession of Schedule 1 or 2 Controlled Substance and Possession of marijuana.